Monroe took a phone call from Joe DiMaggio, Jr. between 7:00pm and 7:15pm and by all accounts had a happy conversation with the 20-year-old, during which DiMaggio, Jr. told her that he’d just broken up with a young woman Monroe disliked. Housekeeper Eunice Murray also later confirmed that Monroe was “happy, gay, alert – anything but depressed” during the talk. 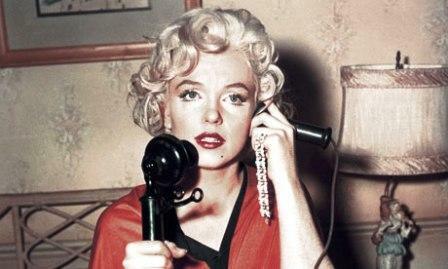 Monroe took her last call of the night from Peter Lawford about half an hour later at 7:40pm or 7:45 pm, during which Lawford noted she sounded slurred and barely audible.